Chemistry Models There are 48 products. 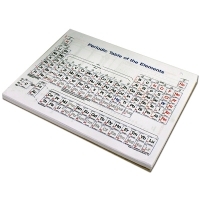 Periodic Table Notebook Chart, pack of 100 sheets. Pack of 100. This notebook-sized pad of 100 contains symbol, name, atomic and mass numbers and more. Each page is two sided and full of information. Can be seen by the entire class. Grades 7 - 12. Our durable, eye-catching 4-color 49-1/2 x 38" wall chart provides symbol, name, atomic mass numbers and more. Elements included up through element number 114. Atom Snap'Em. Advanced Organic Set. 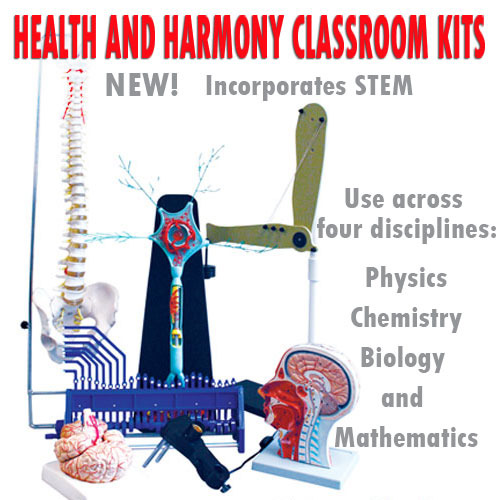 These kits are essential for demonstrating the structure of different organic and inorganic compounds. Contains Small items, image may vary. 671-2000 Atom Snap'Em Advanced Organic set: 40 hydrogen, 8 halogens, 2 alkali metals, 24 carbon, 6 nitrogen, 2 black group 16, 12 red oxygen, 4 silicon, 1 yellow group 14, 4 blue group 14, 1 transition metal. Atom Snap'Em. Intro To Organic Set. 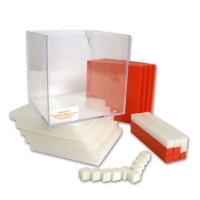 These kits are essential for demonstrating the structure of different organic and inorganic compounds. Contains Small items, image may vary. 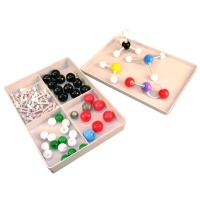 671-2005 Atom Snap'Em Intro to Organic Set: 20 hydrogen, 6 halogens, 12 carbon, 7 oxygen, 2 nitrogen, 1 sulfur. Atom Snap'Em. Organic Set (Teacher).